The MapSubstring() function is a powerful alternative to using nested Replace() or PurgeChar() functions. MapSubstring(), unlike it’s siblings ApplyMap() and Map, will apply multiple mappings from the mapping table. Here’s an example. In field “ReplacedString“, all the characters matching the first field of the map (“char”) are replaced with a backslash as shown in this table. This makes it ready for parsing with a function like SubField(). I recently submitted a feature request to Qliktech requesting “grouped objects”. There are a number of issues to consider when thinking about how grouped objects should be implemented in QV. You are probably familiar with the idea of grouped objects. It’s a feature commonly available in graphics authoring programs Select a set of objects and mark them as “grouped”. Operations such as Move or Resize then apply to the group. When two or more objects are logically related, it’s would be useful if they could be minimized or restored together. It’s a common practice to layer objects upon one another to produce an effect that is not available with a single object. For example, Stephen Few’s Bullet Graph is commonly implemented in QV as a chart upon a chart. The Qliktech demo “Finance Controlling” uses this technique. Another common use case is placing a transparent text box on a chart to provide helptext, or a button to provide action. Currently, if you layer objects, you also have to prohibit the user from moving or resizing the objects. If not, user move or resize operations may cause the objects to be misaligned. If QV would let me select a set of objects and mark them as a “group”, how should the group of objects respond to various user actions? If the user moved any object, all objects would move as a group, maintaining relative position to one another. If the user resizes one object, all objects will resize proportionally and maintain position relative one another. If the user maximizes one object, the group will enlarge proportionally to fill the screen. Let’s consider another case. Two overlayed bar charts are used to create a Bullet Graph. One chart also contains a button in the caption area. It’s critical that the overlayed charts maintain position and size relative to one another. The button is a fixed artifact that should not resize but must remain in the “correct” position. How should the behavior differ from the example above? If one of the charts is resized or maximized, both charts must resize. The button should not resize. This could be controlled by use of the “allow move/resize” property of each object. If the property is checked, the object will participate in a group resize. If unchecked, the object will not resize with the group. However, all objects will maintain relative position. What specifically, is “relative position”? I define it as the “x,y pixel distance from the nearest corner of a parent object. The parent is the object in the same group who’s corner is closest to the child object”. An object can only be relative to one parent object. The parent may change after a resize operation. It would simplify the grouping process if the “Allow Move/Size” property were split into two separate properties — “Allow Move” and “Allow Size”. In the chart & button example, all objects would “Allow Move” but only the charts would “Allow Size”. Your comments and improvements on this proposal are welcome. Update 01/09/2009: What about Object “Print” and “Copy To Clipboard -> Image” functions? My proposal would be to include all objects that share a pixel with the right-clicked object. A common application of QV macros is to make initial selections. These selections may be applied when the document is opened, a sheet is activated or a button is pressed. The selections usually involve some type of dynamic value, such as “today()”. In the examples below, the VBS continuation character “_” is used to indicate the statement continues on the next line. You may type the statement on a single line if wish and omit the “_”. It’s all VBScript, but the functions used come from two different products. The ActiveDocument…Select is from the QV API, and the Date() function is a VBScript function. To make this work, you need some knowledge of VBS functions. In addition, there may also be a type mismatch — the VBS function returns a number and the Select expects a string. Fixing that issue requires adding a CStr() or CDbl() function. What if you want to make a more complex selection. Like the weekday for today? Or a selection that requires knowledge of the data values — max(ShipDate)? Wouldn’t it be easier if you could use QV Expressions to define the selection expression? You can, with the ActiveDocument.Evaluate API function. Here are some examples. The Evaluate argument is any expression that can be evaluated by QV. So you can stick with the QV functions you are used to. Those functions are also more likely to produce the correct data type for your selection. And most importantly, you get easy access to the QV data — (“max(ShipDate)”). New QV developers often spend some time looking for QV’s equivalent of the “in” operator. It’s the match() function. Compares the string s to a list of strings or string expressions. The result of the comparison is an integer indicating which of the comparison strings/expressions matched. If no match is found, 0 is returned. The match function performs a case sensitive comparison. mixmatch() works just like match() except it does a case insensitive comparision. wildmatch() is another form that can be particularly useful. wildmatch() allows (but does not require) the “?’ and “*” wildcard characters in the match arguments. The match() functions return a number indicating which of the comparison strings was found. You can use this index number nested in a pick function to do “wildcard mapping” as an alternative to a nested if() function. Load from Excel is usually pretty straightforward, but sometimes you’ll need to load multiple sheets and make some determinations at runtime. Details such as sheetnames may not be known at script creation time. 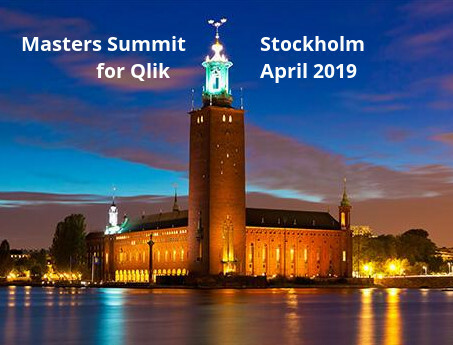 The QV statements “SQLTables” and “SQLColumns” may be used to discover information about the sheets and columns available in a workbook. Both of these statements require an ODBC connection. The ODBC connection may also be used to subsequently read the data, but I find using the LOAD biff more convenient. Specify the workbook name, relative to the current directory, in the “Data Source=” parameter. This example uses a “DSN-less” connection. It does not require you to predefine an ODBC datasource. The SQLTables statement return a set of fields describing the tables in the currently connected ODBC datasource, in this case the workbook. A “Table” is an Excel Sheet. Now I’ve got a list of sheets in the QV “tables” table. The field name that contains the sheetname is “TABLE_NAME”. I’ll loop through the set of TABLE_NAME values and load each one using a standard biff LOAD. Sheetnames that contain blanks will be surrounded by single quotes. The purgeChar() function above removes any single quotes that may be present in the sheetname. The connection will complete and you can use this connection for SQL SELECTs. However, when SQLTables is called, the connection will enumerate tables/columns for all the *.xls files in the current directory. This provider uses the parameter “DefaultDir=” (default is .) to control which directory is enumerated for SQLTables and SQLColumns calls. The DBQ parm plays no part. You may find this useful as an alternative to using a traditional “for each filelist…” loop to process multiple files. I recently had a requirement to create a heat map of the US States and set about exploring if there was an easier way than creating a QV scatter plot mapped over an image. I found the Google Chart API. With some help from the QlikCommunity forum, I got a fairly pleasing result. The Google Chart API is provided free by Google. You pass in an http request with parameters that describe the data and desired layout, and a chart image is returned. I won’t cover the details of the API, it’s well documented at http://code.google.com/apis/chart/. Rather, I’ll share my experience integrating it with QV. Here’s a screenshot of my results. The map will update as selections are made in the Sales chart. The generated map is not clickable. It’s just a static image. The map is a Straight Table with a single expression. The expression is the http://… string used to generate the map. The representation for the expression is set to “Image”. Thanks to Tom on the forum for showing me this technique. The OnAnySelect document event is used to trigger a “showMap()” macro that creates the variables needed for the http string. In a production application, you would want to be more selective and use field level events on the fields relevant to the chart. In addition to chart layout parameters, the http string contains two parameters that describe the data. The encoding algorithm requires that the maximum value of the dataset be known to properly spread the individual values across the relative range. To determine the maxvalue in the macro, I use the QV evaluate() function to “callback” to the QV expression language. Producing a chart with the Google API does have some downsides. The user must be connected to the internet and the chart will render slower than a native QV chart. It also does not provide for making selections in the chart and tooltip values like a QV chart does. But I found it to be a simple solution to my requirement. I hope that someday the QV product will provide regional maps as chart types. 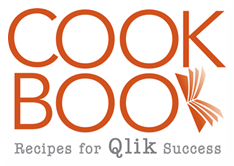 The next update to the Qlikview Cookbook will include the “macro-less” technique. An earlier post of mine When less data means more RAM discussed the ways in which storage (“Symbol” space) needed for field values can increase depending on how a field is loaded or manipulated. This generated some followup questions on the QlikCommunity forum about the optimal storage sizes for fields of various data types. What’s presented below is information gleaned from the documentation, QT Support and experimentation. The numbers come from the document memory statistics file. I hope someone from QT will help me correct any errors. QV fields have both an internal and external representation. There is a video “Datatype Handling in Qlikview” available on QlikAcademy that explores this subject.This post is concerned with the internal storage of fields. The above sizes assume that the internal storage format is numeric, which is usually the case if loading from a database. Numbers loaded as text such as from a text file or inline, may be stored as strings which will occupy different sizes. Different Database systems provide various degrees of precision in timestamps and I assume the ODBC driver is also involved with the exact value provided to QV during the load. QV times are the fractional part of a day, using up to 9 digits to the right of the decimal point. – Best size for a Date, 4 bytes. – Best size for a full Time, 13 bytes. – Best size for a full Timestamp, 13 bytes. this will produce a 4 byte integer result. A common technique for reducing the memory footprint of timestamps is to separate the timestamp into two fields, integer date and fractional time. You can further reduce the number of unique time values by eliminating the hundredths of seconds, or even eliminating the seconds if your application is ok with minute precision. Thanks to QT support for providing this detail on Strings. The only way to reduce the string footprint is to reduce the number of unique values. This can be done by breaking the string into component parts if that makes sense in the application. For example, the first 3 characters of a 10 character product code may be a product class. Breaking the field into ProductClass and ProductNumber fields may reduce the number of unique values. If the strings are keys that don’t need to be displayed, the autonumber() or autonumberhash128() functions can be used to transform the values to 4 byte integers. With these functions you can also get the “sequential integer optimization” which reduces the symbols space to zero. This seems to always produce correct results. For each field, QV maintains both a Symbol table — the unique values of a field — and a State array that tracks which values are selected. If the symbol values are consecutive integers, a very clever optimization takes place. The Symbol space is eliminated and the State array is used to represent both selection state and value. This is a very beneficial effect of using the autonumber functions. The values need not begin at zero for the optimization to take place, they only need to be consecutive. A set of 5000 consecutive dates will occupy no Symbol space. Take one date out of the middle and the storage reverts to the standard 4 bytes for each date. It’s not always necessary to be concerned about memory usage. But when it is, I hope this information proves useful. When I started using Qlikview, I mistakenly believed I would not need the 64bit version of Server. I thought that because my Analyzer users were using the QV Windows Client, the memory required to hold the document would come from the user’s machine. Wrong. When a document is opened from the server, the document is loaded into server memory. The 32bit Server uses a single 2GB address space to contain all the currently loaded documents. When the number of users increased, and more importantly, the number of concurrent documents, the Server ran out of memory. This unfortunately causes a Server crash, taking all the users down, not just the user that pushed it over the limit. It became clear we needed the 64bit edition. Upgrading the Server (QVS) to 64bit was easy. It immediately solved the memory issue and allowed for many documents to be used simultaneously with no problem. QV Publisher (QVP) turned out to be a different story. I initially installed Publisher on the same machine as Server but immediately ran into a problem with the availability of 64bit ODBC drivers. Any ODBC Driver used in 64bit Windows must be written as 64bit capable. I was using four ODBC data sources – IBM DB2, MS SQLServer, Lotus Domino and SAS. 64Bit SQLServer drivers are supplied with the OS. DB2 64bit drivers are available, but they can be expensive. The sticking point was that there were no 64bit drivers available for Lotus Domino and SAS. My first step was to move Publisher to a 32bit machine. This turns out to be a recommended practice anyway – host Server and Publisher on different machines. But I also had an application in development that would require 64bit for a full reload. How would I reload this application when it moved to production? I expected I would see more of these applications that required 64bit for reload. Publisher provides for defining multiple Execution Services (XS) on different machines. XS is the service that performs the reload process. The multiple XS’s can be viewed and managed from a single Publisher Control panel screen. This feature allowed me to define an additional XS on a 64 bit server. My configuration now consists of three servers. A 64bit QVS, one 32bit QVP and one 64bit QVP. The 32bit QVP is loaded with all the ODBC drivers I need, the 64bit QVP has no drivers installed. The restriction in this configuration is that reloads on the 64bit QVP may only load QVDs and other non-ODBC datasources. In some cases, this may require a script to be split into two or more documents. Thus far, this restriction has proven to be only a minor inconvenience. The two reloads can be connected together by utilizing a RequestEDX task to trigger the second reload task. We chose not to migrate the developer workstations to 64bit due to the limited availability of ODBC drivers and other software. Most of the applications that require 64bit for reload can still be developed on a 32bit machine by loading a limited number of records. We did set up a single shared 64bit workstation that can be used by any developer when they require 64bit. Migrating QVS to 64bit provides the capacity to support many concurrent documents and users. If you plan to use the 64bit QVP, check on 64bit driver availability as part of your planning process.